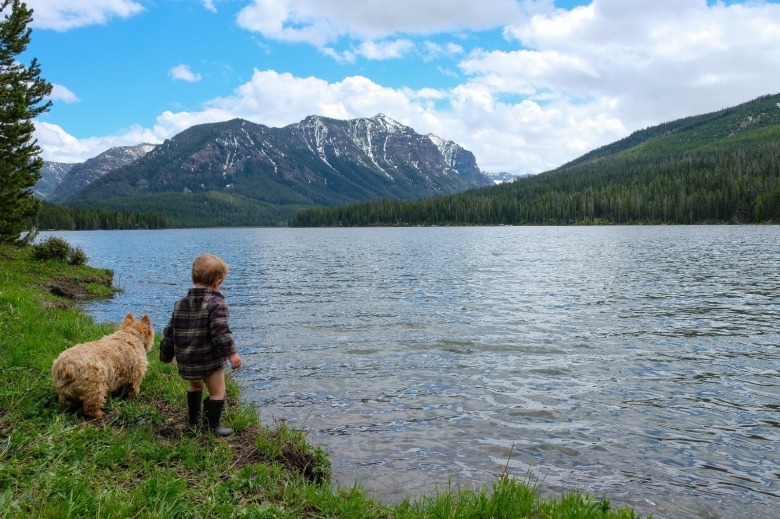 EDITOR'S NOTE: In our new series, "Beyond the National Parks," Mountain Journal is exploring the public and private lands surrounding Yellowstone and Grand Teton national parks that also play pivotal roles in the health of the Greater Yellowstone. In the first installment, MoJo intern Sean Cummings sizes up the Custer-Gallatin National Forest which represents the northern-most extent of the ecosystem. 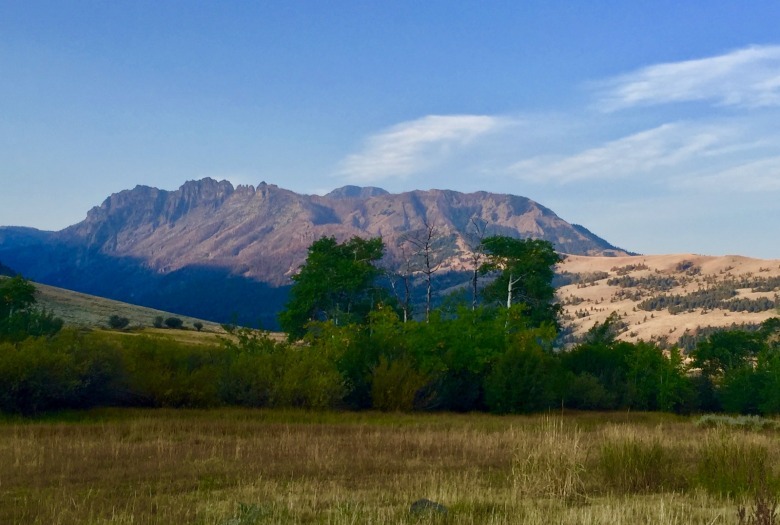 If Bozeman’s big backyard is the entire Greater Yellowstone Ecosystem, then the Custer-Gallatin National Forest sits as its far quainter front door—even so, it’s a natural portal that is still huge, even by the gargantuan standards of the public-land-rich American West. The Custer-Gallatin’s three-million-plus acres—equal roughly to one and a half Yellowstone National Parks— stretch over four hundred miles east to west. If you drew a straight horizontal line from southwest Montana almost to the South Dakota Black Hills, you’ll find large and smaller islands of the Custer-Gallatin extending across roughly three-quarters of that distance. Looming large to the north, yet dwelling in the shadow of its world-famous neighbor, Yellowstone, to the south, the Custer-Gallatin is also kind of a geographic capstone sitting atop Greater Yellowstone. The crest of the Gallatin Mountains provide a backbone of wild terrain linking Yellowstone’s northwest corner to the Gallatin Valley unbisected by any major roads. The Custer-Gallatin also encompasses the Crazy Mountains, the eastern flank of the Madisons, it clutches the upper extent of the Gallatin, Madison and Yellowstone rivers, rims Paradise Valley, and cradles one of the most spectacular wilderness complexes in the world—the Absaroka-Beartooth. The truth is that the Custer-Gallatin is wilder than almost any national park in the Lower 48, save perhaps Yellowstone and Glacier. In the eyes of some, it means that Mary Erickson, supervisor of the Custer-Gallatin, should rightly be viewed as holding the same amount of importance and profile as any park superintendent. Inexplicably, it does not. Erickson is also among a handful of women who hold prominent leadership positions within the national forests that comprise Greater Yellowstone. Traditionally, national forests were regarded as “working landscapes” focused on exploitive uses, most of them commodity oriented, be they sources for logs, minerals, coal or grass to grow private cattle and sheep. Changing times, shifting markets, a metamorphosis of human values and more sophisticated ecological understanding are reshaping the meaning of “multiple use” and stewardship in the 21stcentury. But toward what—this remains a looming question. The hyphen in “Custer-Gallatin” speaks to the administrative merger that happened between the Custer and Gallatin national forests in 2014. Prior to that, Bozeman was surrounded by the Gallatin itself. Seven ranger districts make up the amalgamated forest’s expanse: Ashland, Beartooth, Bozeman, Gardiner, Hebgen, Sioux, and Yellowstone—five of them are within Greater Yellowstone. The bulk of the Custer-Gallatin is found between West Yellowstone and Red Lodge, Montana wrapping around the western and northern border of Yellowstone Park. 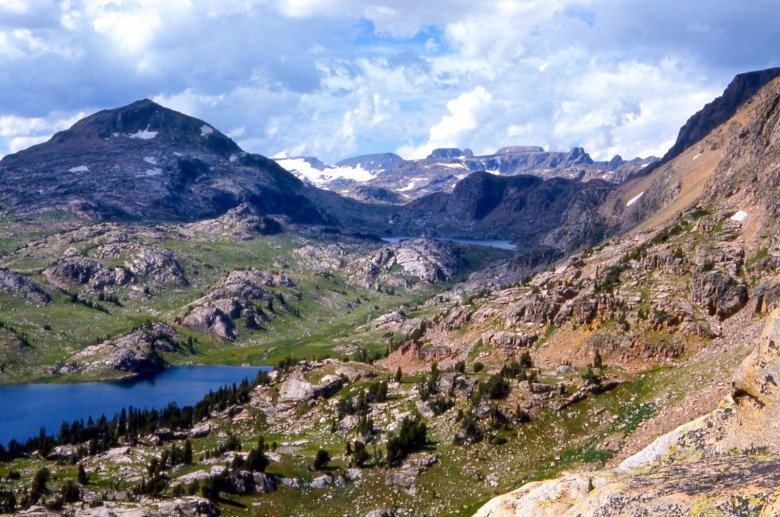 Together the Absaroka-Beartooth and Lee Metcalf wilderness areas make up about a third of the forest’s total acreage. The Custer-Gallatin’s roughly four thousand miles of rivers and smaller streams are the fountainheads of municipal water supplies, liquid sustenance for agriculture, and a robust flyfishing culture—all borne as snowpack and rainfall in the high country. 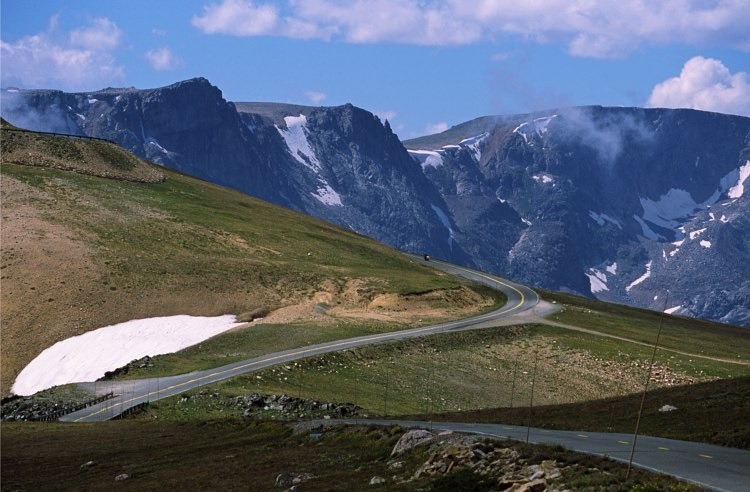 The Custer-Gallatin is home, too, to the 68-mile Beartooth Highway, acclaimed as one of the most scenic drives in America. Established in 1899, the Gallatin takes its name from Albert Gallatin, the fourth Secretary of the Treasury from 1801 to 1814 under presidents Jefferson and Madison. Notably, Gallatin never visited the region, similar to many people whose names appear on maps. The Custer Forest, meanwhile, originated in 1907 as the Otter National Forest. The name changed to Custer the following year (in honor of George Armstrong Custer who died at the Battle of Little Bighorn). 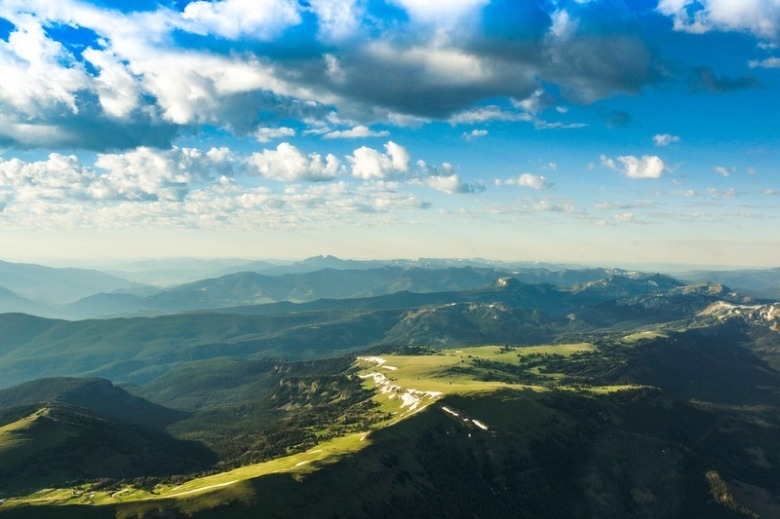 By the early 1930s, the Custer had expanded to encompass the entire Sioux National Forest as well as a portion of the old Beartooth National Forest. The Custer-Gallatin boasts possibly the oldest intact building in the entire U.S. Forest Service System, even though another national forest, the Shoshone, was the first created in the country. Originally built by ranger Harry Kaufman, the Main Boulder Ranger Station on the Gallatin served as a district headquarters and ranger residence. It sits roughly 30 miles south of Big Timber. The main headquarters, meanwhile, are based in Bozeman. I met with Gallatin Supervisor Erickson at the downtown Community Food Co-op to discuss current issues facing the forest as part of Mountain Journal’s series focused on public lands in Greater Yellowstone beyond the national parks. Erickson landed the supervisor position in 2007, but her career with the Forest Service goes back three and a half decades. After completing forestry school, she worked in Oregon as a district ranger and deputy forest supervisor before transferring to a forest in rural Utah adjacent to Capitol Reef National Park. Erickson’s career has given her a deep passion for thinking about the future of America’s National Forest System— as well as a concern that it often gets overshadowed by national parks, particularly in big-name regions like Greater Yellowstone. The amount of total national forest acreage in Greater Yellowstone dwarfs that of the national parks, and forestlands are vital to the health of wildlife inside Yellowstone and Grand Teton. Remove the national forests and both of them would be mere islands, feeling much smaller. One could argue that forests are essential rings that enable the inset diamonds—the crown jewel parks—to sparkle even brighter. “So much in the public conversation about ‘Yellowstone’ seems to focus on Yellowstone National Park and misses the value of all the other public lands in the ecosystem,” Erickson says. National forests are facing their own kind of epic challenges. Unlike parks where preservation of natural resources, as articulated by John Muir, is a prime objective, national forests, as articulated by Gifford Pinchot, the Forest Service’s first chief, operate under a conservation mandate that involves a blend of preservation and resource consumption. This means competing voices, involving economic or lifestyle self-interests, often arise in debates over how forest land can — or should — be used by humans. The land belongs to everyone, but not everyone is on the same page, nor can every inch of forest accommodate every interest desiring to exploit it. Where in earlier eras traditional resource extraction industries wielded political clout and were touted as primary job creators, it is the appeal of unblemished scenery and solitude, especially in an ever-crowded and more mobile human world, that often sustains bordering economies. Modern conflicts are flaring over recreation. The Custer-Gallatin has 815 individual trails running over 3,000 miles in total. Motorists may use 1,155 of those miles, and 735 miles —a distance greater than the mileage between Bozeman and Seattle— are open to mountain bikers. Another 835 miles of trails are in wilderness. One would think there’d be space for everybody, but ever increasingly conflicts are arising. Hikers are avoiding heavily trafficked mountain biking trails; mountain bikers and ATVers complain about horse riders having access but not them. Snowmobilers and cross country skiers regularly get into rows up Bear Canyon and there’s a battle royale over the fate of the Gallatin Crest. One group not surveyed is wildlife. From a management perspective, rising recreational conflicts and concerns about sensitive wildlife can prove trying. “There’s real challenges in that because it can be that sense of trying to be all things to all people,” Erickson attests. Sometimes, this just isn’t possible, and some groups inevitably leave disappointed. While all national forests must manage issues of multiple use, the Custer-Gallatin faces a few challenges unique to itself as well. Most notably, the forest is currently in the process of revising its Forest Plan, which will direct the management of the forest at large, as well as guidelines for land use, for years to come. The vast bulk of public commentary in this process so far, Erickson says, has regarded special designations for certain land uses. 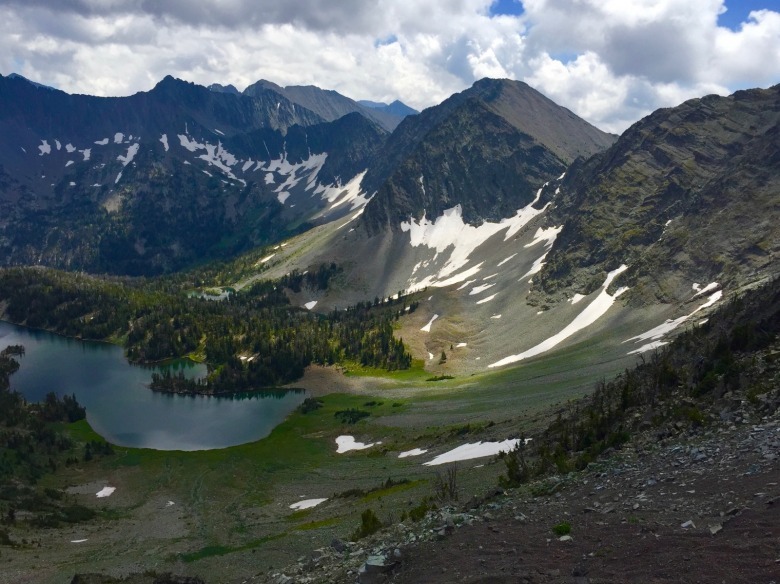 While some worry that special designations will restrict the activities that can happen on those areas and shut out recreationists, others feel that limiting multiple land uses will help preserve wilderness qualities. One example of this sort of conflict exists at the Hyalite Porcupine Buffalo Horn Wilderness Study Area — HPBH WSA, for short. The only designated wilderness study area on the Custer-Gallatin forest, it occupies 155,000 acres along the backbone of Gallatin Crest. Part of the Forest Plan revision process involves investigating areas potentially eligible for wilderness designation. This includes a portion of the WSA, a possibility that prompts disagreement among the public. Instead, the conflict falls once more around how people play. The WSAs currently allow recreational uses that existed in the area prior to its designation in 1977, including those inconsistent with wilderness character, such as snowmobiling. But if some of it were granted full wilderness designation, those uses might be hindered. Trespassing involving motorized use and mountain biking on the Gallatin Crest, in violation of regulations, is a growing problem. So is crowding around Hyalite Reservoir south of Bozeman, one of the busiest Forest Service recreation areas in Greater Yellowstone and likely to become even more congested. A slow, idyllic day on Hyalite Reservoir. The reservoir, being easily accessible from Bozeman, feels the pressure of increased use due to the valley's growing population. Photo courtesy Catherine Cramer. 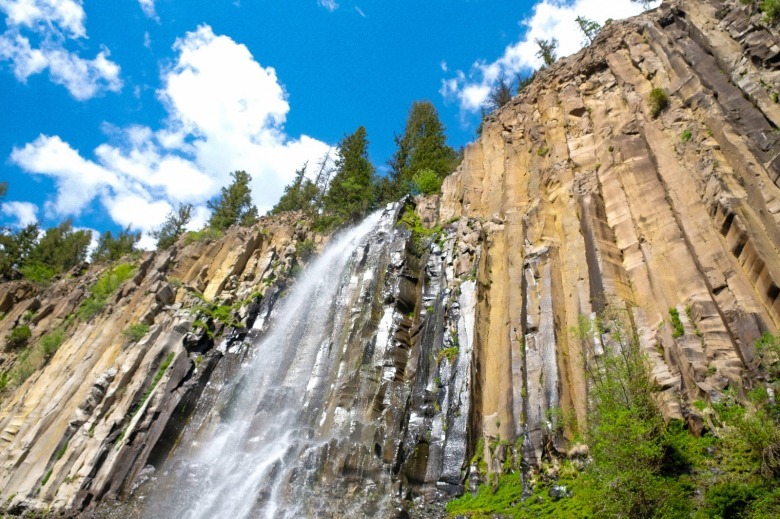 Palisade Falls up Hyalite Canyon on the Custer-Gallatin National Forest. Photo courtesy Angus O'Keefe. Controversy also flows in the waters far below. Another element of the Forest Plan revision involves identifying rivers eligible for Wild and Scenic designation, a process that could lead to new Wild and Scenic designations down the road. Within the Custer-Gallatin, 31 rivers are up for consideration. Critics say the Gallatin County Commission is comprised of representatives who belief systems are rooted in the bygone era of resource extraction and whose worldviews have not kept up with changing times and values. She admits that legal cases can occur in which Wild and Scenic designations restrict actions on private property — for instance, a person trying to haul timber off private property being denied a permit for a road through a Wild and Scenic river corridor. For some, chiefly conservation groups, preservation, which some erroneously call “non-use,” proves the most important land use of all—letting natural forces shape the landscape. In May 2018, two such groups sued to halt the North Hebgen Vegetation Project, a project proposed by the Custer-Gallatin National Forest. Among other points, the conservation groups argue that the project would impact habitat and hiding cover for animals like lynx and elk, add sediment to streams where cutthroat trout live, and favor invasive weeds, reported the Gazette. Whatever the validity of the conservation groups’ concerns, fuels mitigation surely occupies the minds of many as the Bacon Rind Fire continues to blaze. Erickson says that the decision was made early on not to put firefighters on the ground, partly for safety but also to allow the ecological benefits of fire to occur. Instead, the Forest Service chose to manage the fire from a distance. Additionally, she feels fortunate to work within such an awe-inspiring natural environment. Thanks to its size and location, the Custer-Gallatin boasts some of the richest biological diversity for large species of any national forest. Like most of Greater Yellowstone, all of the forest’s major species there before the arrival of Europeans remain present, including grizzly bears, wolves, elk, moose, pronghorn, and bighorn sheep. The Beartooth Range, in particular, contains a goldmine of wonders. Granite Peak, the tallest summit in Montana, towers there. Less than 2,000 feet below, tens of millions of preserved locusts — including many extinct species — hang frozen within Grasshopper Glacier. Sadly, as human-caused climate change progresses, this entomological treasure has shrunk to less than a mile long and continues to recede rapidly, in comparison to its pre-industrial length of five miles. Today, it’s more a collection of several smaller glaciers that experts say are likely to disappear in coming decades. But as Erickson points out, the broad size that gives this forest so much of its physical diversity brings with it some diversity of human communities. This became especially true once the Custer and Gallatin National Forests merged, an event that caused some in the smaller, more traditional communities residing in or near the Custer Forest to worry if their lifestyles would be threatened. Nevertheless, regardless of who you are, Erickson feels these public lands matter to everyone. If you live in the west, National Forests sustain local wildlife and form the economic underpinnings of many communities. And if you live elsewhere? Sean Cummings was Mountain Journal's 2018 summer intern. 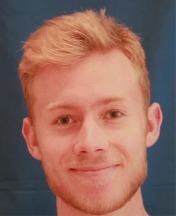 Hailing from central California, he is a student at Whitman College. Read MoJo's interview with Sean by clicking below.